- Mix all flours in a big bowl along with salt and turmeric powder. - Put 2 tsp of oil into it and add spring onion greens. Add enough water and 1 tbsp oil and knead into a soft dough. - Place a plastic bag (thick one) on flat surface and apply a drop of oil over it. 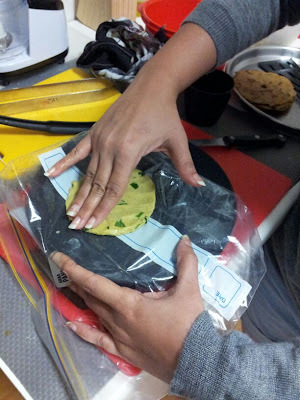 - Take a portion of dough (small ball sized) and spread with finger tips on plastic surface. 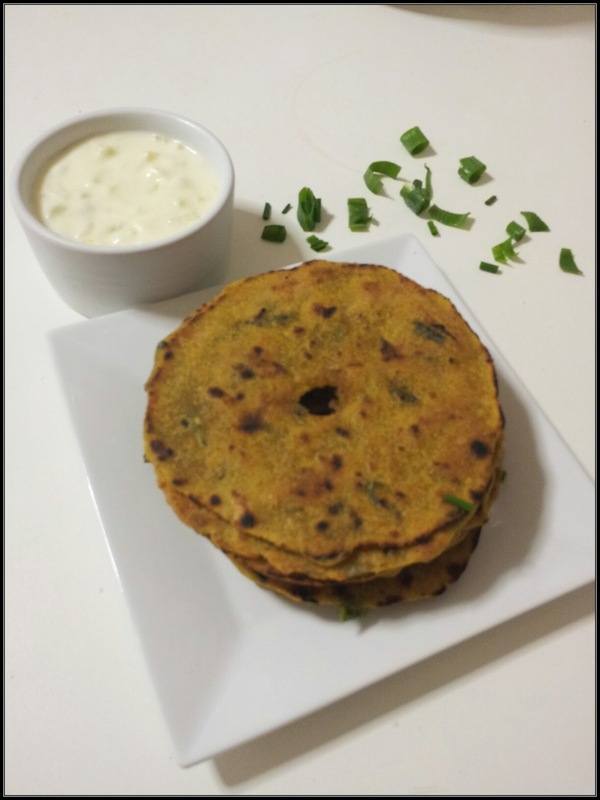 Tap it with drops of water to make paratha-size. - Make a small hole in the center of it and transfer it onto hot tawa. - Roast it like paratha only and put some oil in hole to cook it evenly. - Flip it around and follow the same procedure.